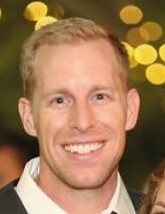 Dr. Wagstaff was born and raised in Salt Lake City, Utah. He is 36 years old and has been happily married for 13. He and his wife Amanda are the proud, but tired parents of three children ages 8, 6, and 3. 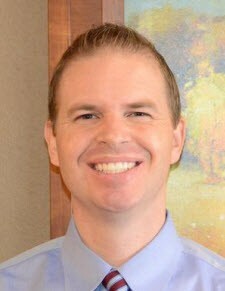 Some of his interests and hobbies outside of dentistry include teaching, drawing, reading, and enjoying the outdoors. That said, he is happiest when spending time with his wife and three kids, regardless of whatever it is they are doing. I love being a dentist and pride myself in providing the finest in dental care with a caring, personalized touch. I am committed to lifelong learning and continual improvement within my chosen profession. Toward that end, after completing dental school I completed an optional, year-long Advanced Education in General Dentistry residency. I had the opportunity to provide comprehensive dental care for very complex cases. At the hands of various dental specialists, I received training in cosmetic dentistry, full mouth rehabilitation, IV conscious sedation, root canals, and dental surgery, including extractions and dental implants. I know that my patients will benefit from my background and training. When you visit our office you will see that your concerns are my concerns, and you can trust that my recommendations represent what I would want for your smile as if it were my own. Thank you for taking the time to look over my biography. majority of his time with friends and family, always enjoying the company of others. Dr. Emmert proudly served on active duty as a dentist with the United States Air Forces at the 49th Medical Group at Holloman AFB, New Mexico, providing top-notch dental care for the pilots and crew of the 49th Fighter Wing and other units. continuing to develop as a knowledgeable and conscientious provider. As a patient in our office, you can expect to ' be treated as if you are family, with excellent dental care blended with kindness, gentleness, and a smile.